Let’s begin by reviewing the standard rules of remodeling. What are they? When I ask this during seminars, I let about 15 seconds pass and no one says a thing. In reality, it’s a trick question. There are no standard rules of remodeling. That’s one of the reasons that the remodeling industry has some of the problems it has. It’s one of the reasons that consumers are never really sure what they are going to get. But there’s one person who steps in to choreograph this dance that we call remodeling. That person is called the general contractor. How does a general contractor create order out of chaos — rules in a world without any set rules? For the homeowners they do it through good plans and specifications. Clear plans and specifications eliminate confusion, cost overruns and misunderstanding. Basically, good plans and specifications are how the contractor and homeowner agree on what is going to be built. A good GC also provides a schedule to show how long it will take to complete their project. In addition to that, you also have a set of plans for your employees. You have a set of agreements concerning hours of employment, compensation, company benefits, company codes of conduct and the procedures they are going to follow to produce what is on the plans and specs. So, we’ve addressed homeowners and employees. The third question is how are you coaching your subcontractors? Are you working with them in the same way that you’re working with your employees and homeowners? 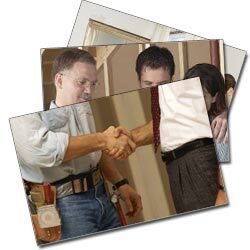 What are the agreements that you make with your subcontractors? Have you provided a clear set of expectations that they agree to before the job begins? This is the job of the general contractor. What are the agreements that you make with your subcontractors? Do you have a clear set of expectations that they agree to? I don’t have the space to explain what is in each one of these policies, but most of them are self-explanatory. I’ve included all of these to try to illustrate a very simple point. The more clear and concise your agreements are, the less chance there is for confusion and misunderstanding. By putting my policies on paper in the form of an agreement, and having the subcontractor sign the agreement, we now have some very clear guidelines and expectations that lets everyone know what is expected and when. This is my game plan. These “game plans” are the foundation of a successful remodeling business. Next Next post: Who Knows How to Sell Their Services?